Our quest for good food is limited only by the depths of our stomachs and the size of our wallets. Food culture is an integral part of the Singaporean identity, and access to reasonably priced food is something we often take for granted. We can easily be forgiven if food security is the furthest thing in our mind. After all, the Economist Intelligence Unit ranked Singapore as the third-most food secure country in the world in 2016, after Ireland and the United States. This is no mean feat, given that Singapore is a city state with very little land for food production. Qatar’s recent diplomatic crisis is a stark reminder of what can happen to Singapore’s food security if international conditions should change. One of the richest countries in the world, Qatar is currently under sanction from its Gulf neighbours – the country is now isolated and its trade routes severely limited. Qatar imports nearly half its food supply via its land border with Saudi Arabia, and food prices have been rising as fears of food shortages grow. Qatar is likely to ride out this crisis as they have the financial means to seek new food supplies from friendly sources. Nevertheless, this crisis has highlighted the vulnerability of countries that rely heavily on food imports. What if a similar crisis were to engulf Singapore? According to the Agri-Food and Veterinary Authority (AVA), more than 90 percent of our food is imported. As such, the current food security we enjoy is not perpetual – we remain at the mercy of our trading partners, and during a crisis trade routes can be blockaded. A prolonged crisis could lead to food shortages and directly threaten our survivability. Panic would set in, and Singapore would be at a disadvantage at the negotiation table. Such problems highlight the significant limitations of contract farming – we can never expect full food security when operating a farm in another country, as these operations are limited by local laws and regulations. Singapore has long recognised the need to prepare against threats to its survival. The best example would be Singapore’s quest to achieve water self-sufficiency. Nearly half a century ago, Singapore was dependent on Malaysia for 80 percent of its water needs. Today, Singapore only imports about 40 percent of its water from Malaysia, and the rest of its needs are met by local reservoirs and state-of-the-art water reclamation and desalination plants. With such significant reliance on a foreign source for a basic necessity, the Singapore government has realised the need to diversify our risk and reduce our external reliance. 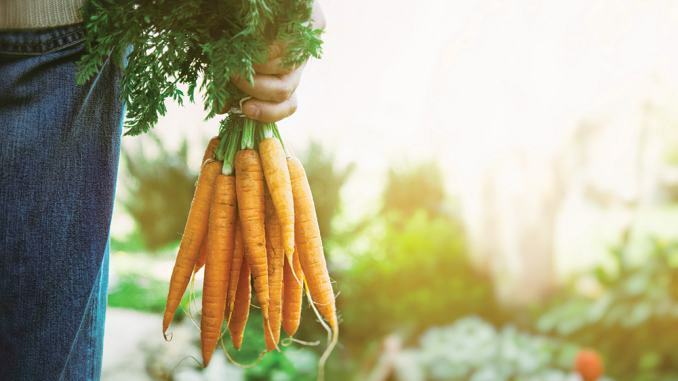 Given that food security is just as important as water security, AVA has formulated a food security roadmap to diversify Singapore’s food import sources and increase local food production. One of its most ambitious contract farming projects is the Sino-Singapore Jilin Food Zone, which involves the creation of a food zone twice the size of Singapore in northeastern China. Established in 2012, this project is a joint venture between the Jilin City government and Singaporean company Singbridge, with the latter holding a 40 percent stake. Once operational, the food zone is expected to supply Singapore with fruits, vegetables, and meat. By directly involving itself in the project, Singapore can impose its rigorous hygiene and food safety standards from farm to plate. Contract farming is not a new concept – many developed countries have leased millions of hectares of arable farmland in Africa and Asia, where they engage in commercial farming in the host country. While such projects may be perceived by detractors as a form of neo-colonialism, it is undeniable that such investments result in additional revenue and infrastructure development for the host country. Will contract farming improve Singapore’s food security? It may be too early to tell. The Sino-Singapore Jilin Food Zone has been plagued with delays and setbacks, particularly with respect to obstacles in land acquisition in China. Other than the introduction of Jilin-grown rice (marketed as Fragrance 43ºN ) for sale in Singapore in 2015, Singapore has yet to reap any significant benefits from the project. Such problems highlight the significant limitations of contract farming – we can never expect full food security when operating a farm in another country, as these operations are limited by local laws and regulations. The problem is exacerbated in times of crisis – if the host country is facing a food security crisis, the host country will predictably prioritise its national interests over the interests of the investing country by nationalising the contracted farm. Singapore’s answer to real food security is thus unlikely to lie in external sources, but in internal sources. Given our land and labour constraints, Singapore must increase its food production via the adoption of technology to increase productivity. To promote this, AVA is offering the farming industry up to $63 million in the form of the Agriculture Productivity Fund. Local farming industries can tap on the fund to improve productivity or engage in R&D efforts to improve their production processes. In recent years, Singapore’s farming sector has seen a surge in companies embracing indoor farming technology. With AVA’s support, companies like Sky Green have addressed the problem of land scarcity by building vertical farms using their patented technology. These farms extend up to 9 metres in height to capture sunlight, and can provide yields per land area many times that of conventional farming. As Sky Green operates under controlled indoor conditions, the environment can be further optimised to accelerate vegetable growth while eliminating the uncertainties of weather conditions. Indoor farming is not only reserved for innovative startups seeking to disrupt the farming sector in Singapore. As a testament to the potential of indoor farming, big names like Panasonic have converted their factory spaces into indoor farms called “pinkhouses”. Unlike Sky Green, pinkhouse farming does not require sunlight. Instead, the crops are placed under low-cost LED lights and controlled temperatures to optimise growth. Currently, the factory is able to produce up to 80 tonnes of fresh vegetables, and its management is exploring options to expand their factory. Singapore is not the only city facing land and labour constraints – many urban cities worldwide are actively seeking solutions to fresh food access. A concept called modular farming is gaining traction in New York, where startups like Square Roots are customising shipping containers for indoor farming. Similar to pinkhouses, they use LED lights and air conditioning units to control the room temperature within the shipping containers. The difference is that the shipping containers are mobile and the farm can be moved at a moment’s notice. The shipping containers are also cost-effective and can be vertically stacked to maximise land usage. Moreover, the farms can easily expand production by adding more shipping containers. The possibilities are infinite – just imagine how much food Singapore can produce if such ideas are materialised on a commercial scale. It is too early for us to ditch conventional farming for indoor farming. Given the current level of technology, it is simply too expensive to grow our crops indoors when we can get sunlight for free. It will take time for indoor farming technology to mature, before it becomes a staple in urban communities. For the foreseeable future, Singapore will have to continue to depend on food imports to sustain its population. In the meantime, let’s hope that we can keep enjoying our favourite dishes, without any worries or hiccups.